1 | Puppy sitting. I house/puppy sat for some friends over the weekend. It was nice to have some introvert time. I worked on posts, ate popcorn, watched cheesy Christmas movies, and snuggled with an adorable pup. 2 | Mockingjay, round two. My friends Alex and Todd are my Hunger Games buddies. We go see the movies together...it's just the way things are. :) They were out of the town the weekend Mockingjay came out and made me promise to go see it again with them. Of course I obliged. I was still on the edge of my seat the second time! 3 | Vacation prep. I spent the entire day on Saturday doing laundry and getting things ready to pack for Disney!! I am the worst when it comes to making packing decisions. I always stress over what to bring, and what the weather might be like, and do I have enough jackets?? Haha. I am such a planner. -- So basically, I need to go to Iceland. -- 54 Walt Disney animation movie posters! -- This is a fun way to recycle your wedding dress. -- This is a great series on the book of Ruth. -- 10 great stocking stuffers for men! -- You need this carabiner mug in your life. P.S. I am leaving for my Disney vacation today. Bah! I'm over-the-moon excited to spend a whole week with some of my best friends in the happiest place on earth! A whole week of no work and no checking emails. :) Follow along with our adventures on instagram. You can count on me to post fun photos from Disney and Harry Potter world! Woohoo! 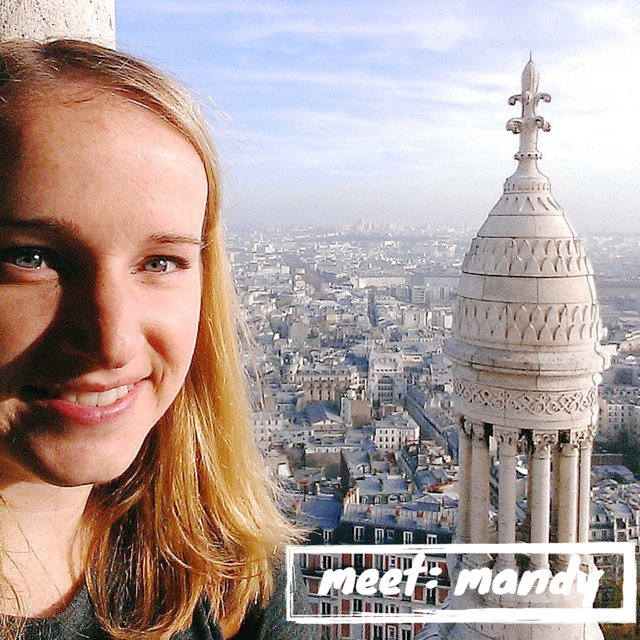 Mandy just got back from an overseas adventure, and I love her really helpful tips for traveling in Europe! She also has some great recommendations for your Chicago travels (a city that I love!) Oh, and her advice about Pinterest is some we could all benefit from! -- Loving these cute rain boots! -- For all you adventurers, a list of castles in the UK. have fun on your Disney/HP Christmas vaca!! You will have SO much fun at Harry Potter world! Just be aware- it's ALWAYS packed! I lovvvved Mockingjay! I thought it was EXACTLY like the book. I was experiencing dejavu the entire movie. They just did such a good job..
Anyways, enjoy your vacationnnnn! Totes jealous. I haven't seen Mockingjay yet. I'm dying to! Have so much fun on your vacation! BAHH i've still got to get on the mockingjay train! eeeep. Have you seen it yet?? Thanks lady :) I love doing these posts! OH my goodness..me too. I totally agree! We had so much fun! Thanks!